There are probably other ways but I cannot think of them right now. There is some very minor bubbling on the arches (paint not broken) so the plan is to clean out underneath and lob on something to prevent it getting worse over winter. Sims thought the front brakes would benefit from being changed but the bite on them is astonishing...there's just a sliiiiiiiiiight shudder through the wheel when braking from higher speeds and I'm inclined to live with it and see if the warp gets balanced out. The only option is to whack in a 'cleaner' CD and hope it does something to the laser reader. Otherwise, I'm going to need to investigate the cost of replacing the unit. May need to Google Toyota independents in the vicinity! But no matter...the car is astonishing. I cannot really describe it in any other way. The day it was delivered the 70 miles or so to me I then took it out on a 100 mile roundtrip to Birmingham and back along the M1/M6 and back through Coventry...it did the journey averaging over 30mpg, and I wasn't precisely hypermiling. On my site visits and commute to work and back I've somehow managed 25-26. The same, if not better, than the Omega, and only marginally worse than the S60! I can't get my head around how NEW it feels. The engine feels like it's done 70k...hell, even 17k, rather than 170k. The gearbox (which has had fluid changed) is absolutely sublime. And when VVTi kicks in it feels like you could break orbit of the planet. I've not dared go 100% throttle yet because I can feel so much potential. TL:DR - I'm rather exceptionally pleased with my purchase and can thoroughly recommend sims as a Shiter with whom to do business with. He has first dibs on this when I come to sell it. Unfortunately right now this is a scenario I'm not able to envisage...we'll see what a winter of petrol price increases does to my enthusiasm though . Thanks for the suggestion...sadly too far away from me. I'll do some Googling though. Nice one! 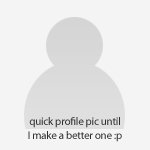 I know they're basically the same, but somehow your photo of the new one makes it look even bigger. Which is good. Brakes on my old one had a slight judder when I bought it, cured by getting the discs skimmed. If you do that may as well chuck new pads in at the same time (preferably OE, why skimp now?). CD cleaners are a bit hit and miss.If it doesn't work,take out the unit and see if there's any way to get a line of sight to the laser lens,then clean it with a cotton bud dipped in alcohol.It has worked for me in the past,and at that stage you don't have much to lose.Nothing would make my Xantia read CDs until I did that,and afterwards the unit worked perfectly for 3 years. Said it before - say it on and on....... the best ever wafter out there........ these things are truly fantastic motors. Insane the prices you can get them for and that engine...... just WOW. Unfortunately mine was Jap import limo spec - heated massage seats - but only in the back! bastards! I did like the massage seats in that Celsior. Find your nearest Powerflow dealer for reasonably priced bespoke stainless exhaust bits. Finally, this will be my new favorite thread on here now. as this is an superior motor car surely he sholud be known as Mason II or Mason the 2nd not mk2! You are quite right, Noel. Thread title changed appropriately. 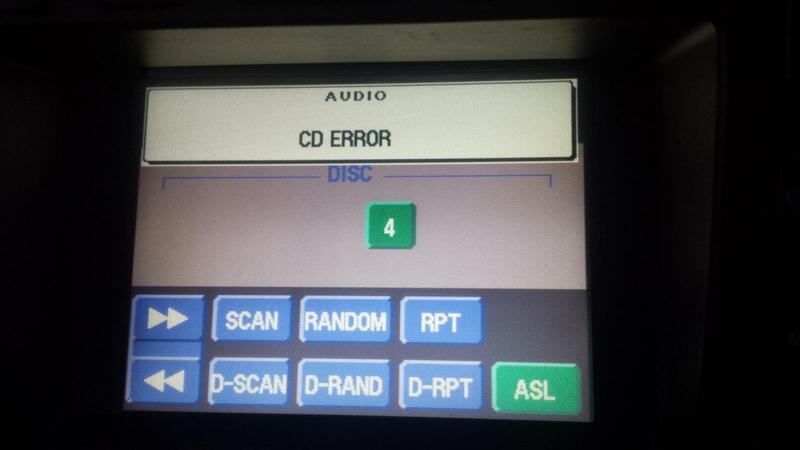 And yes, I remember from Mason the 1st that the discs go in the 'other' way up, and unfortunately I cannot blame this for the non-functioning CD player. I tried to record a dashcam clip of this accelerating yesterday because I feel that, for those who don't know, it's something that must be shared. I drove home an alternative route to make use of a 30-60mph transition on a wide rural road. I stuck it in third and went FULL THROTTLE™ for the first time, and pretty much shat myself because the forward leap was, embarrasingly, unexpectedly vicious. In no time I was doing 60ish, and felt pleased. I got home, and reviewed the footage. Of course, because it's an LS400, what is displayed on the video is simply some numbers changing uneventfully from around 28mph to 60mph without any real noise or commotion to hint at the physics-bending reality of it all. In fact, such a dull video it was that I deleted it. I will try again on a quieter road surface when I can open the windows or sunroof. For science, you understand. The trackday footage I did in mine was similarly smooth - 140-odd was so calm and serene. 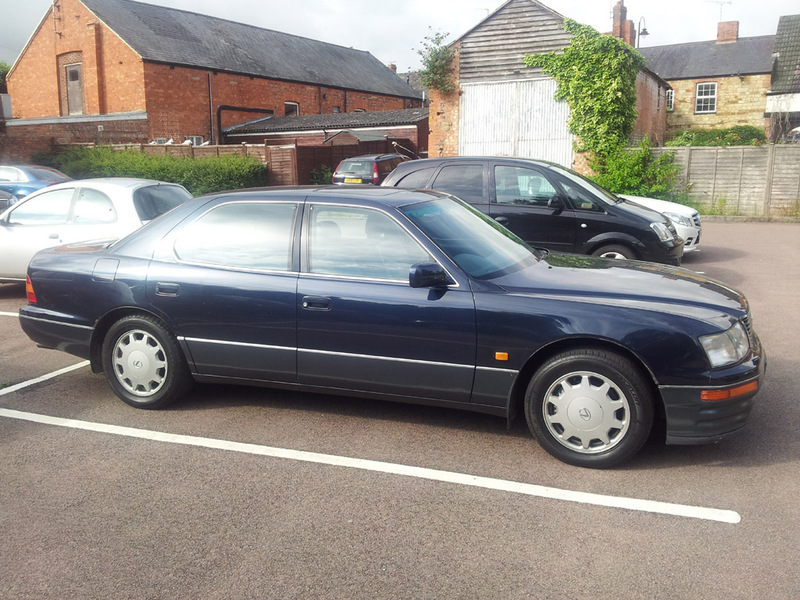 Exceedingly well bought, I had a hunch that you'd wind up with another LS400 eventually! I have never had a Lexus but always wanted one, preferably a 400 - 460. Can I have dibs when you flog it ? So long as you don't do too many track days in the poor old lass! 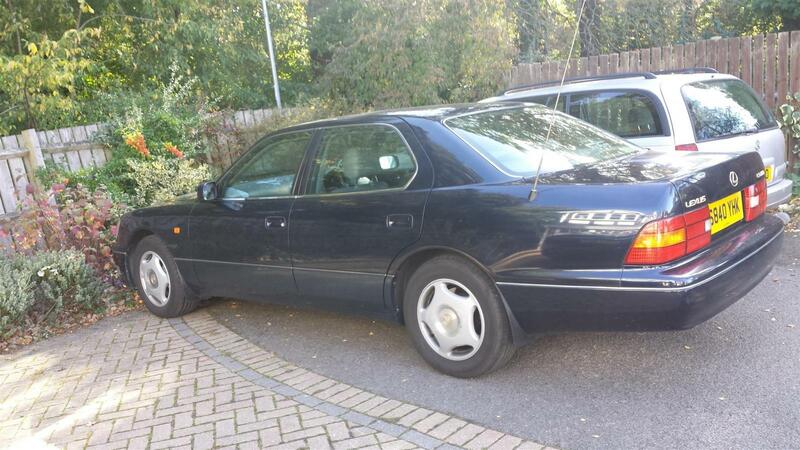 I've not got around to looking for a Toyota indy that may be happy to have a gander at the CD player for me. I definitely will do this because I really miss having music, and while sims kindly left a high quality cassette adapter for my MP3 player with the car, I'd rather create a CD of bespoke tracks and use the car's own controls than have umpteen billion tracks to try and flick through while driving. SnrYoof has bought a replacement aerial, and I know that Mr Hubnut did a video when he replaced the aerial of Mason, so we may be looking at that to see if we can determine how to do it. This is really just so I can lower it completely and stop the car looking like the world's most luxurious dodgem. It's been averaging near-as-damnit 25mpg per tank according to the computer, so let's call it 22-23mpg in real terms. Hardly bad for a V8 being used as a daily, on a 18 mile a day commute mostly at 70mph and then for runs into town and back. Fuel prices may be the only influencing factor in any future decision to sell it, and right now I cannot ever see myself letting it go...sorry sims! The VVTi is, quite frankly, epic. I took a work colleague out for a spin on a lunch break and demonstrated it to him...lock it in 3rd, and just go stomp at 30mph. It launches forwards and gathers pace rapidly for a near 2000kg car, but around 4000rpm or a little more you suddenly get an extra shove in the back. Sadly, at this point I tend to have to bottle out because the speed limit has been breached. Finally, I must stress that this car has been mechanically maintained to perfection, and it is impossible to tell it has done 175k. It's staggering how reassuring it is to drive just in the sense that you get the impression it'll just go and go and go and go. If you told me that tomorrow I'd have to set off for the southern tip of Italy and I wasn't allowed to service the car or even open the bonnet before setting off, I would have ZERO fear. And while I'm a man of science, I also irrationally fear THE JINX...and even this irrational fear hasn't prevented me from commiting that statement to Internet pixels. Lexus LS400. WOOD STRONGLY RECOMMEND. sims, who sadly couldn't keep it very long, has very first dibs, but if he manages to fill his LS400 boots with another specimen in the intervening time I believe you are the only other person who has expressed dibs in such understandably brazen fashion. Your getting better mpg from your V8 than I am from my RX300 with the V6, man maths mean I must swap the RX300 for a LS430 or LS460 to save money. I've not been able to find a Lexus/Toyota specialist in Northamptonshire yet, so if you do let me know who it is. Good to hear it's going well (although little surprise). I'll repeat my suggestion for getting the discs skimmed, which sorted mine out. Aerial mast replacement if it's the same as the rx300, there is a special sequence of buttons to press to eject the mast, this didn't work for me and I ended up using a slide hammer after removing and stripping the mechanism to gently* persuaded years of oil dust and crap to let go. Ours needed a damn good clean out anyway as the grease was no longer greasy or where it needed to be. Can I express an interest in the rx300 if not terminally rusty or expensive. I will go for a snoop today when we go out to see if it is still there. EDIT - by 'here' I mean just to the left of 'Dynamic Office Seating' and accesed from Tweed Road. *As long as it came with a junkman approved gearbox and not a CVT. Miss our LS muchly. Auto luxobarges will never be the same again.